It’s said that the biggest enemy you have in life is yourself, if you don’t have discipline and self-control. That’s very true. Discipline will help you get through some difficult tasks when you might feel like quitting and give you the help to turn failure into success. Jiu Jitsu helps develop discipline, no matter what the age. While it’s a great way for children to learn it, it’s also helpful to remind adults what they’re truly capable of doing. Children learn the lesson of setting goals and working toward achieving them. Self-control or discipline, starts with setting goals. Every time a child goes to a class, he’s taught respect for others and respect for themselves. That’s the basis of self-discipline. Whether it’s working toward winning a match or learning a new move that will help them do it, it all takes discipline. It comes with the territory when you take BJJ classes. BJJ has been used to help overcome addictions. Whether you’re trying to quit smoking or recovering from substance abuse, taking Jiu Jitsu can help you achieve your goal of clean living. It not only helps you by keeping you moving and burning off the stress hormones, it also takes you out of your normal element where you might return to your addiction. Boredom can take its toll when you’re fighting addiction, taking jiu jitsu classes help fight that, too. It builds confidence and along the road, builds your self-control and sense of pride. BJJ isn’t easy. It’s not like taking a walk or almost anything else in the average person’s life. That’s one thing that makes it special. No matter what your skill level, you’re always able to improve if you practice and work hard. That builds self-confidence and instills a sense of discipline. Your goal may be as simple as winning a match or as ambitious as winning a national title, but no matter what it is, it takes discipline to keep on trying until you reach it. Children learn the discipline to only use their skills for self-defense. Honor, sportsmanship, humility and respect are all taught in BJJ. 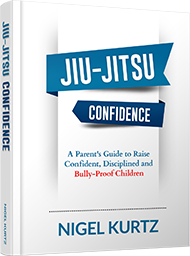 Jiu jitsu can help children with ADD/ADHD. It helps boost coordination and strengthen the brain neural connections. The structured classes and physical movement boost both discipline and functioning skills. Some people say that jiu jitsu forces discipline on you if you stick with it. There will be many physical discomforts when you workout and lots of losses, but if you stick with it long enough, it will be all worth it the first time you win a match or make it to the blue belt. For most people, they start out to lose weight or learn self-defense but end up being the catalyst for learning more self-control and direction. It makes a huge difference in other areas of their life, too.